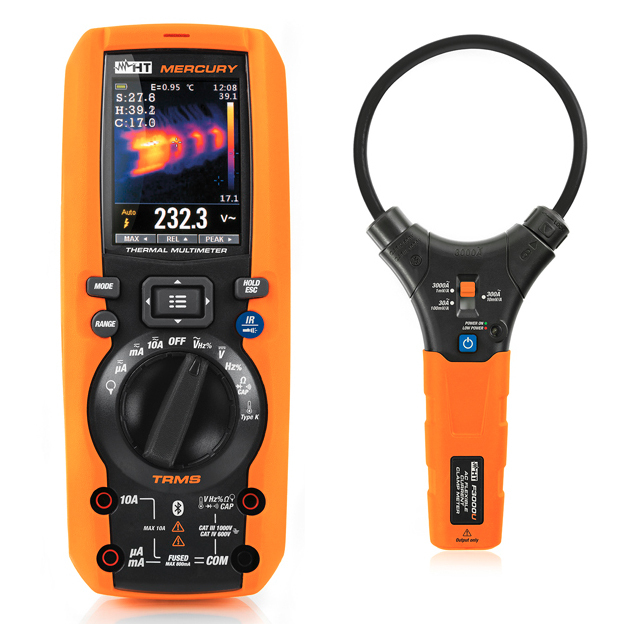 The MERCURY is a TRMS digital multimeter capable of measuring AC/DC voltage up to 1000V, AC/DC current up to 10A as well as resistance, continuity test, diode test, frequency, capacitance and temperature with K-type probe. Other major functions include AC+DC mode taking into account DC components overlapping AC signals and current measurement with standard and flexible transducer clamps (provided accessory F3000U). 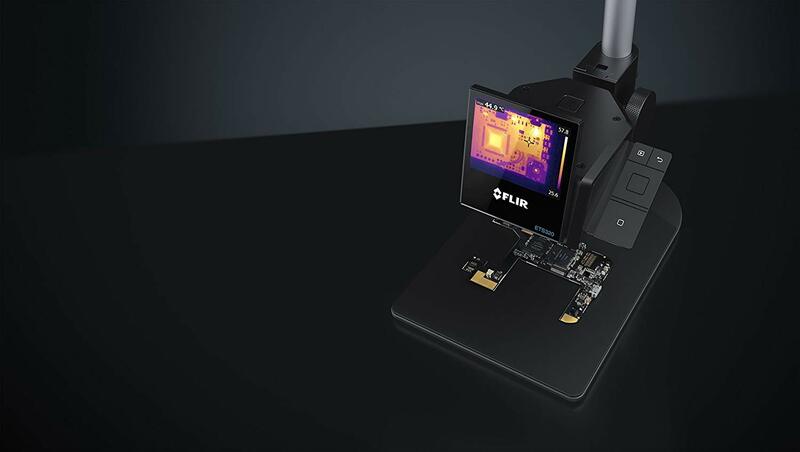 A camera with 80x80px resolution is built inside to get simultaneous readings of thermal and electrical values for the item under test. MERCURY is provided with Data Logger function capable of carrying out and saving recordings of every parameter as well as displaying the values’ diagram. Snapshots can be saved into BMP format inside a micro SD card supplied as accessory and Bluetooth permits connection with mobile devices (tablet/smartphone) through HTMercury APP creating reports to share measuring results. The instrument was designed in compliance with safety standards IEC/EN61010-1 with double insulation protection according to CAT IV 600V or CAT III 1000V. MERCURY is equipped with analogue bargraph LCD and each function can be selected by rotary switch. Additional functions include HOLD to keep displayed data, MAX/MIN, PEAK and Auto Power OFF to save the internal rechargeable battery. 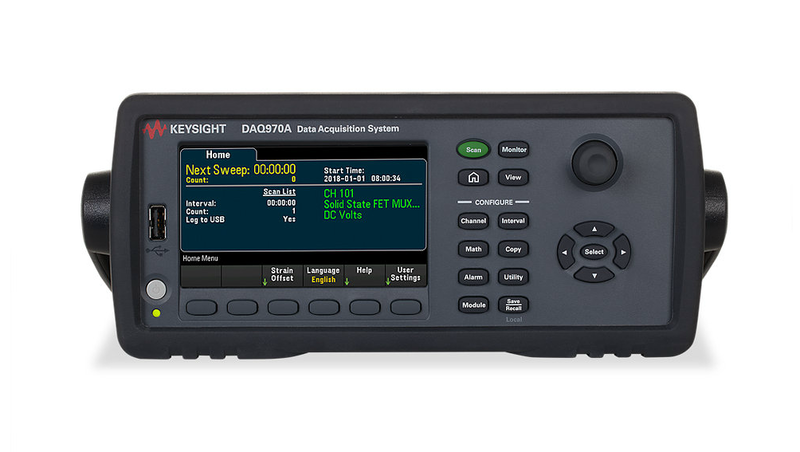 Manufactured in Europe by HT Instruments, the Mercury DMM costs $750 and is available from authorized distributor Saelig.